Electronic enthusiasts in the design process in urgent need of a necessary functions measurement tool. 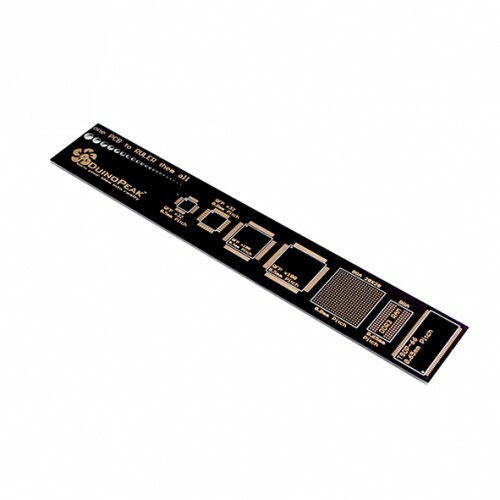 Multifunctional PCB ruler, in addition to measuring the basic functions of millimeter and inch sizes. It also integrates relevant information for PCB design such as devices, IC pin spacing tables. 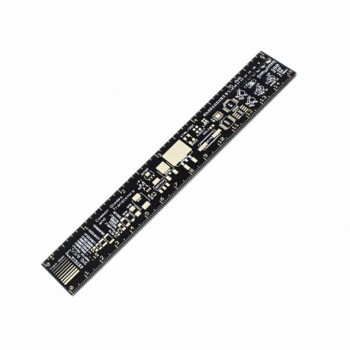 Resistor and capacitor chip package, the commonly used diameter reference drill, line width size reference. 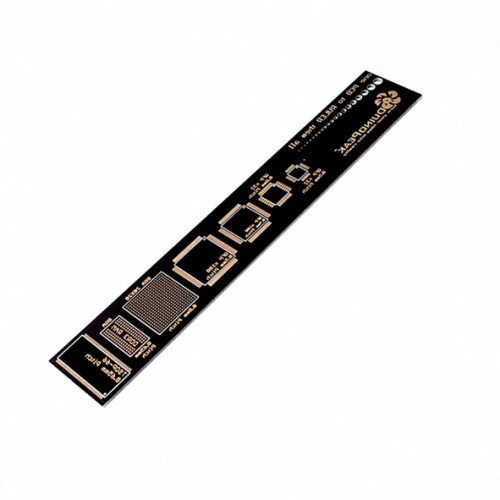 We printed this information on FR-4 gold-plated PCBs, high hardness, wear resistance. Measuring length: 15cm / 6"
Commonly used resistance and capacitance patch package: 0201,0402,0603,0805,1206,1812,3216,3528,6032,7343.